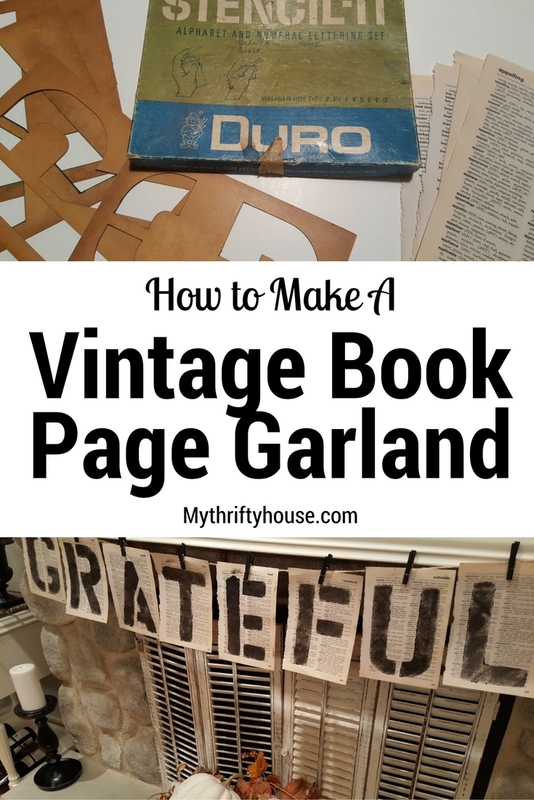 This week I made a vintage book page garland from an old dictionary that was losing it’s pages. 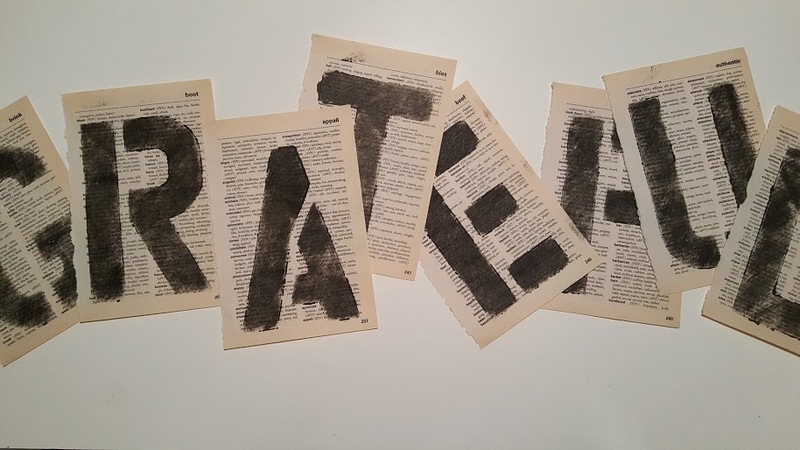 I have several projects around my home that involve book page art and while I don’t advocate tearing up books I do advocate the concept of recycling, repurposing and reusing books. This book page garland was extremely easy to make and took me approximately 20 minutes total. 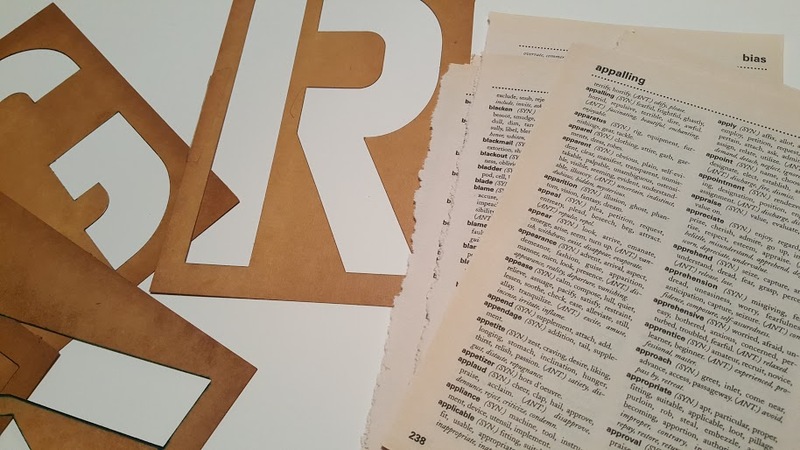 I now have a dictionary with lots of missing and loose pages that will be used for many future book page art projects around my home. First I gently pulled the pages out of the dictionary. I really like the rugged edge of the torn pages but you can trim them if you prefer a smooth edge. 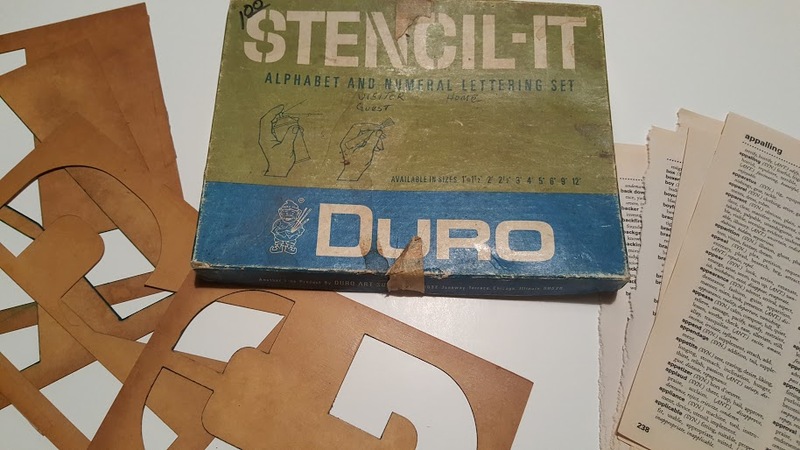 Take a look at those stencils I picked up for $1 at the flea market. They were the perfect size for this vintage book page garland. I used some homemade black chalk paint and a stencil brush to add the letters to each book page. I didn’t want it to be a solid black letter so I purposely stippled it in a faded and uneven pattern to give the garland a worn look. 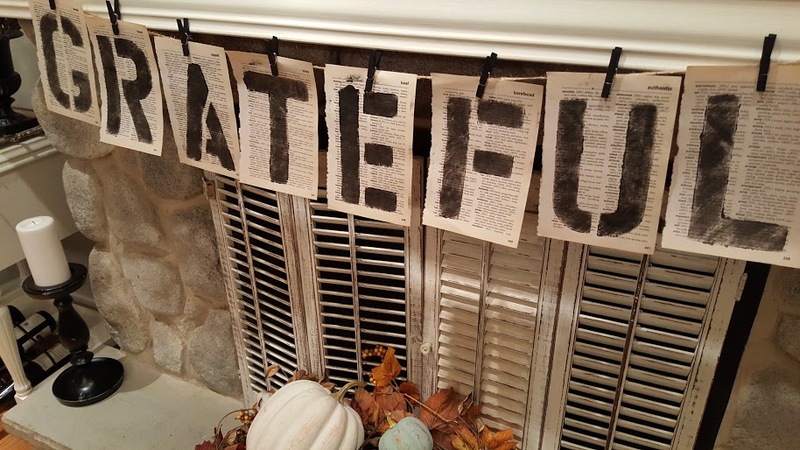 Since summer is officially over I am now focused on the fall décor around my house and I chose the word “grateful” to hang on my fireplace mantle. I kept it extremely simple and draped a piece of twine across the mantle and hung each book page with a small black clothes pin. I could have punched holes in the pages and thread the twine through the pages but for the sake of time I used the clothes pins and I like the simple texture they add to the vintage book page garland. If you love the look of adding book page art to your home décor you can visit my Book Page Art Pinterest Board that is totally dedicated to so many beautiful projects using book pages. Lots of creative inspiration happening there. Don’t forget to pin my tutorial and share how easy it is to add some book page art to any décor. 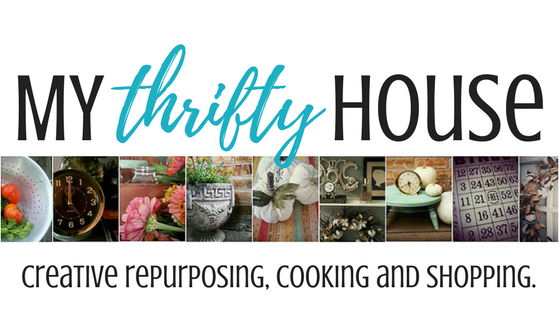 This entry was posted in DIY Projects, Thanksgiving and tagged recycled, repurpose, vintage. I love that banner! Book pages go great with anything and look always awesome I think! I totally agree….love book pages in any scenario. Love old books and love chow this turned out! awe, I think this is just so sweet! It also looks easy enough to have children do which could make them feel a part of making the home ready for holidays. Love this. Yes Debbie, so easy even the kids could do it. I think I could pull this off! I love old book pages. You did a great job. Lisa…you could so pull this off…easy peasy. Okay, I like everything about this project, the dictionary pages, the stencils, the clothespins. It’s great! Thanks Melony….I like that the longest part was waiting for the paint to dry. I am a banner junkie and anything with book pages steals my heart as well. I am off to pin this one! I love it!! Ps…thanks again for the super sweet comment today. You made my day! Thanks Kim…..I am your new super fan. Thanks Michelle…I really appreciate you stopping by to visit here and my Pinterest Board. Thanks for hosting a great link party too. Hi Denise: I enjoy posts that use unused articles and give them a purpose again. Your banner is great. Thank you Leanna…..I love to keep things from going to the trash and giving it a new life. Very cure idea, and really like the look of the banner.